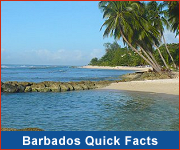 Known as the 'platinum coast' of Barbados, St.James is a visitor's delight with beautiful beaches, excellent dining, a range of accommodation and several golf courses. Celebrities love this part of the island, especially the luxurious Sandy Lane Hotel, and you'll often spot them on the beach and in the restaurants. But there is accommodation for every budget available nearby. One of our favourite dining spots in St. James is the Limegrove Lifestyle Centre where you'll find a variety of restaurants including Greek, Italian and Modern Asian. For beachfront dining head to Zaccios, The Tides or The Beach House. And for a casual evening of food, drinks and fun Surfside Restaurant is the place to be. Holetown, St. James was the site of the first British settlement on the island. During the third week of February this is commemorated with the Holetown Festival. 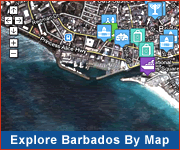 Top attractions in the parish are Folkestone Marine Park, Chattel Village, and St. James Parish Church. Another must-do in St.James is a stroll along the west coast boardwalk.